Texas’s only historic beachfront hotel - Hotel Galvez & Spa, A Wyndham Grand Hotel - is an integral part of Galveston’s history and a symbol of the community’s resilience. When Hotel Galvez opened in 1911, Galveston had just finished building its 17-foot Seawall to protect the Island and its grade raising project which raised the grade of land as well as hundreds of buildings from their original level to make them less susceptible to flooding in the event of future storms. The Causeway had been completed, now connecting Galveston Island to the mainland. All of these accomplishments were part of the Island’s recovery following the Great Storm of 1900. The 1900 Storm was the worst natural disaster in United States history to that point in time. An estimated 6,000 to as many as 8,000 people died and 3,600 structures were destroyed including the entire wharf front. A group of businessmen pooled their resources and raised $1 million to build Hotel Galvez and the hotel opened on June 10, 1911 at 6 p.m. Hotel Galvez still stands as a symbol of Galveston Island’s resilience in the face of disaster. This elegant beachfront hotel was immediately proclaimed “Queen of the Gulf” and within a year of opening, it was deemed the “best arranged and most richly furnished seaside hotel in America” by Hotel Monthly. This elegant hotel has been the choice of numerous famous guests including Howard Hughes, Dean Martin and Frank Sinatra. It served as a temporary White House for the staff of President Franklin D. Roosevelt during a 10-day offshore fishing trip and was the site for his first meeting with newly elected Congressman and future president Lyndon B. Johnson. A reception in honor of war hero and future president Dwight D. Eisenhower was also held at the hotel. In the early 1920s, families all across the country began flocking to Galveston’s original beachfront hotel. “Moving in” to Hotel Galvez for the summer was a common trend among wealthy families, many of whom spent from six weeks to six months in the hotel, paying a mere two dollars a day for luxurious accommodations. The hotel provided such amenities as a barbershop, laundry, writing room, and tailor as well as easy access to the bathhouses and entertainment along the beachfront. Between 1920 and 1932 Hotel Galvez served as headquarters for the Pageants of Pulchritude, the beauty pageants that were predecessors to the Miss America Pageant. The hotel was also the venue for many debutante balls, as well as social activities for the University of Texas Medical School fraternities throughout the 20s, 30s and 40s. Over the years, various entertainers who performed at the famed Balinese Room were frequent guests of the hotel. The hotel functioned as a working facility for the U.S. Coast Guard during World War II and in 1944 the hotel was awarded an “honorable discharge” from its duties. During the years, the hotel was owned and operated by several individuals and companies. In 1993, it was purchased by its current owners who launched a $20 million restoration to reflect its 1911 origin. In preparation for the hotel’s 100th anniversary in 2011, hotel owners George Mitchell and the Mitchell family plan to replace the Gulf facing windows with operable, divided light windows reminiscent of the hotel’s original design as well as to update the guest rooms with a new décor including new furniture, bedding, drapes and flat screen televisions. This December, the hotel is releasing a commemorative book entitled The Hotel Galvez: Queen of the Gulf, by Gary Cartwright, author also of Galveston: A History of the Island. The new book includes a foreword by Peter H. Brink, former executive director of the Galveston Historical Foundation, and new color photography by the nationally known architectural photographer Carol Highsmith. 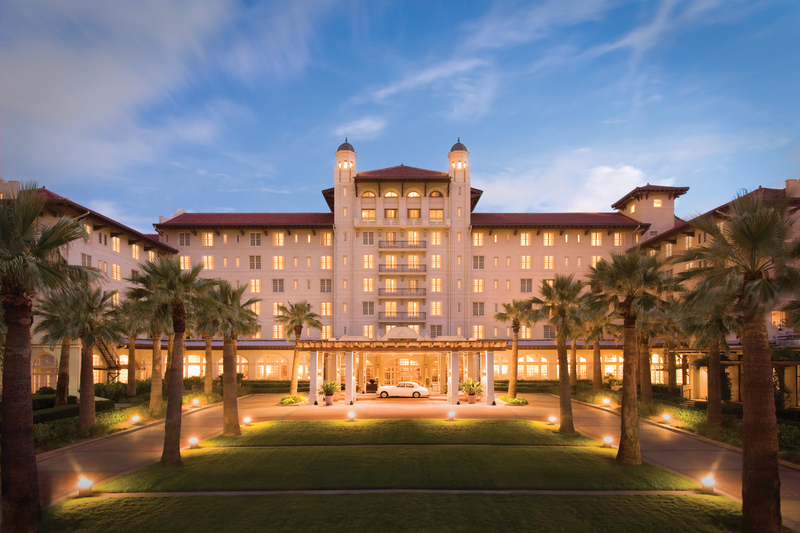 The Hotel Galvez, A Wyndham® Historic Hotel and a National Trust Historic Hotel of America, remains the only historic beachfront hotel in Galveston. 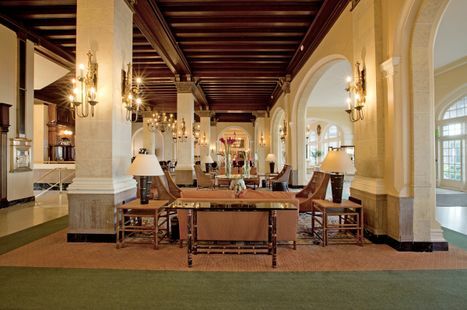 The Hotel Galvez is rated four diamonds by AAA and is part of Mitchell Historic Properties. Wyndham Hotels and Resorts, LLC, and its affiliates, subsidiaries of Wyndham Worldwide Corporation (NYSE: WYN), offer upscale hotel and resort accommodations throughout the United States, Europe, China, Canada, Mexico and the Caribbean. All hotels are either franchised or managed by Wyndham Hotels and Resorts, LLC or an affiliate. The hotels lobby features its original ceiling and grand archways.